You can say, its going to happen this weekend! 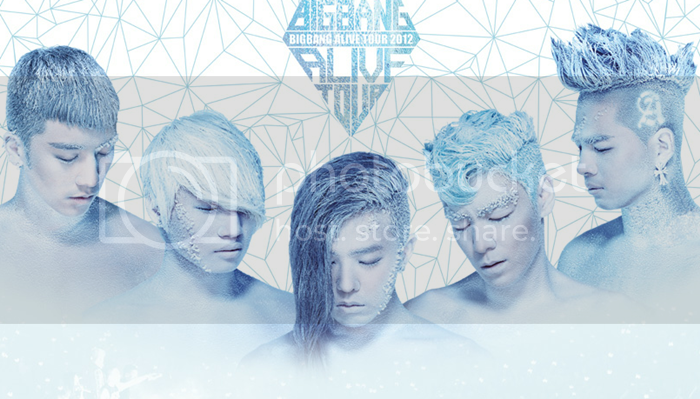 Can't wait for Big Bang Alive Tour at Stadium Merdeka this Saturday! But well, did you know how it took them to stardom? Big Bang was formed in 2006, where G-Dragon, TOP, Taeyang, Seungri & Daesung started producing and composing music which has their own unique urban-originated style. It took some time to get there, but it all turned around when their hit song "Lies" popped the charts by being No.1 for 7 consecutive weeks! following up with it, they had more hits after that such as Hot Issue, Stand Up, Last Farewell & Haru haru which brought them to getting awards in 2007-2008 such as "Best Male Group", "Song of the year" & "Artist of the year" at the Seoul Music Awards. Soon after that, they started doing solo activities where Taeyang, G-Dragon & Seungri released their solo albums, G-Dragon & Top doing a collaboration on an album, Seungri & Daesung acting in both TV Dramas & musicals, TOP became a highly acclaimed film star & Daesung hosting multiple TV shows. and In 2012, Big Bang released their fifth Mini Album Alive in Korea and Japan. And now they're on their World Tour! One thing for me, they inspire me by their dedication and their passion for music, bringing everything up to a whole new level! There are 5 pairs of VIP invites & 100 pairs of RM188 tickets to be won! 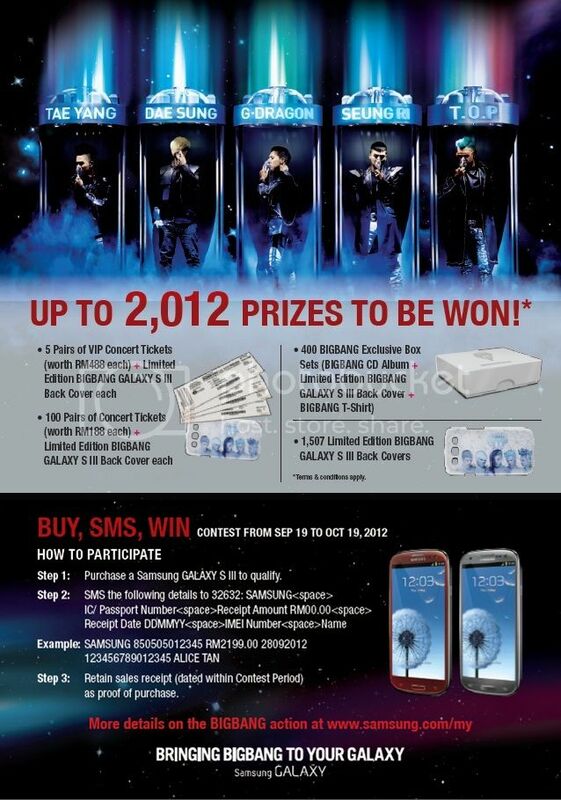 Other than that, there are plenty of other Big Bang Merchandise to be won!